Pros: - Different DPI setttings at the flip of a switch. Cons: - For me, none. Other Thoughts: Replaced an aging optical mouse with this that didn't like to always follow my lead. I enjoy gaming, but I'm far from MLG. This seems to work well and is "precise enough" for my needs. Frankly, I don't understand what people need the report rates and sensitivity so high some times. The price was obviously attractive and has come down even more now than when I got mine. Used for at home office work and high end gaming. Pros: Lots of buttons, software lets you re-assign them to do a different set of things for each of your games (automatically detects when games are running and switches profiles). Battery life is good and lasts a few months. Cons: Tracking is not very good on surfaces like a couch cushion, even if the surface is quite smooth and even. I have a $12 mouse that does much better. It will track on glass, but not well enough to be usable. The first one I got had had tracking problems and I sent it back, with the second one the receiver failed after 8 months and now I am out of warranty. 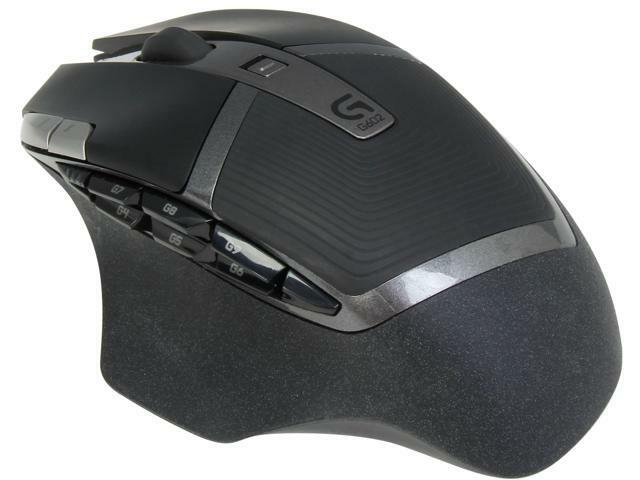 Other Thoughts: Refurbished logitech products are notoriously bad. I thought I'd give them another try after my G19 keyboard but they have not improved. You already have a fair chance of getting a lemon if you buy a new one - stay away from refurbished, and perhaps stay away from logitech entirely. Cons: Tons of dirt and scratches under the mouse, clearly someone has used this mouse for at least a few months. This is a scam, I purchased a refurbished product but received a second hand dirty mouse with no package or any other stuff, just a mouse. Other Thoughts: I read all the reviews before purchasing, and I regret my decision, if you are reading this, I don't recommend you buy this "refurbished" scam product. -Very heavy, not quick to use. Other Thoughts: Not sure if this refurb was bad, but my mouse cannot be used for video games at all. every movement just kind of misses the destination, no matter how much i tweak it. My M510 feels much more accurate. Other Thoughts: BRING THEM BACK for $29.99! Pros: I like the size and feel of this mouse. Everything about it is pretty good, including the buttons. It's very responsive. Cons: The mouse SKIPS! With a mouse pad, without one, it drives me nuts. I'm over the return period by a month. I play FPS games and the skipping will make me look straight DOWN while in a fight or in the air. It just JUMPS and SKIPS. Not happy with that.